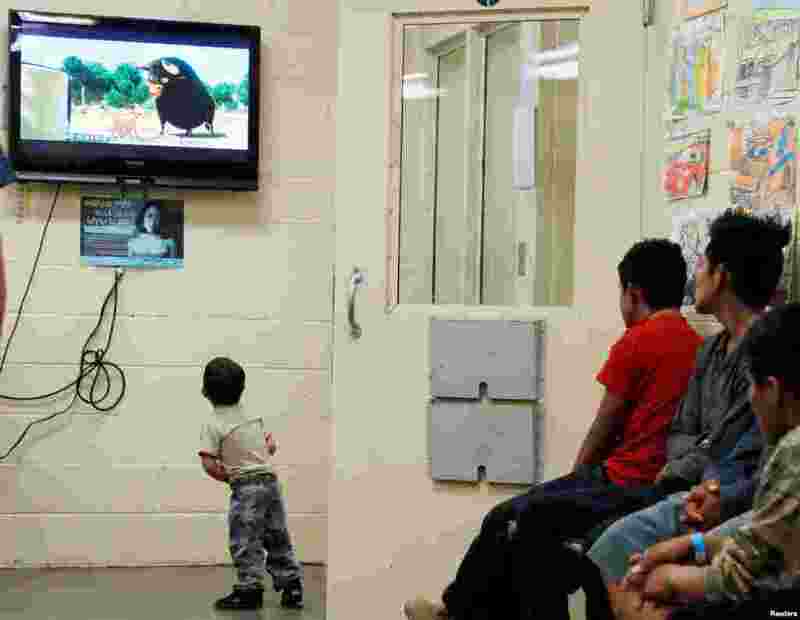 1 A detained immigrant child watches a cartoon while awaiting the arrival of U.S. first lady Melania Trump with other young detained immigrants at a U.S Customs and Border patrol immigration detainee processing facility in Tucson, Arizona. 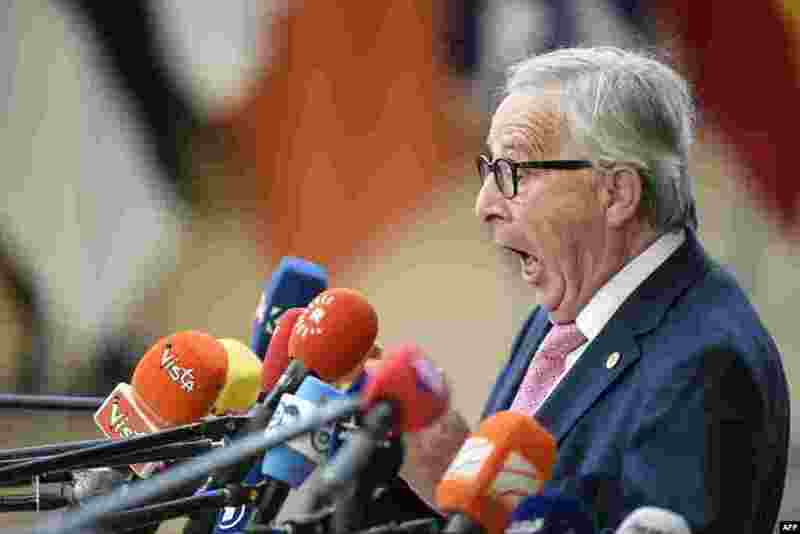 2 President of the European Commission Jean-Claude Juncker reacts as he speaks to journalists during an European Union leaders' summit focused on migration, Brexit and eurozone reforms at the Europa building in Brussels, Belgium. 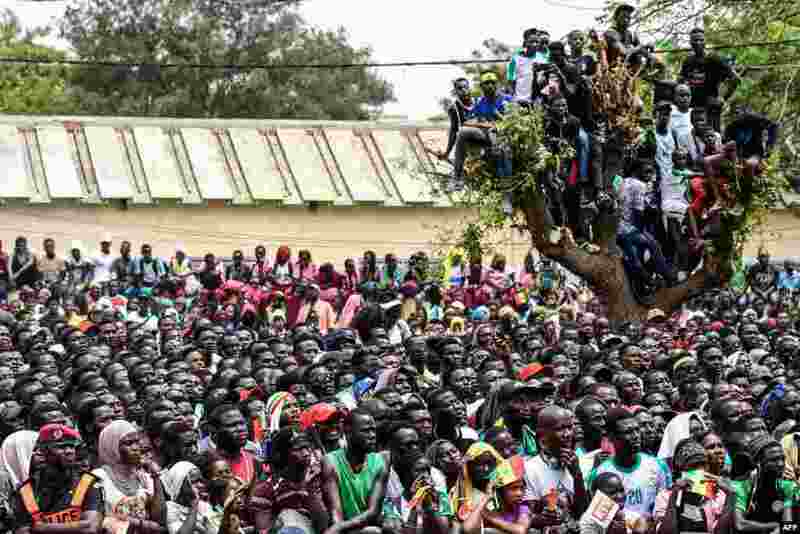 3 Senegalese supporters watch the Russia 2018 World Cup Group H football match between Senegal and Colombia on a giant screen at a fan zone in Dakar. 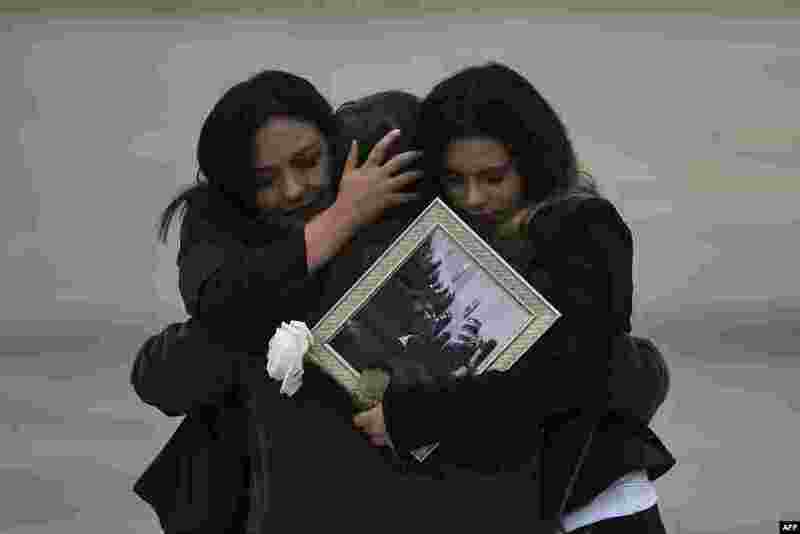 4 Relatives of the slain members of the news team from Ecuadorean newspaper El Comercio, embrace as the coffins containing the remains of their loved ones are carried onto an airplane of the Ecuadorean Air Force to be flown to Quito, at the Alfonso Bonilla Aragon airport in Palmira, Colombia, June 27, 2018. The trio - journalist Javier Ortega, photographer Paul Rivas and driver Efrain Segarra - had been kidnapped and slain while covering a story on violence along the remote border with Colombia prompting both countries to send troops to hunt down the perpetrators.